A brilliantly colorful ocean-based puzzle game with a decidedly "green" theme. Help save the world�s marine life from extinction! 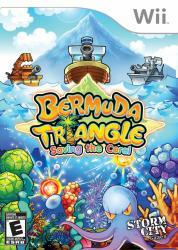 This colorful and addictive puzzle game invites users of all ages to battle enemies for survival of the ocean�s coral. Solve puzzles, feed and protect the fragile undersea life forms, and advance through stage after stage of fast paced, and environmentally aware fun for all!